This year's Olympics feature fashion and function as Nike SB and Levi's have teamed up to make the USA BMX team uniforms. 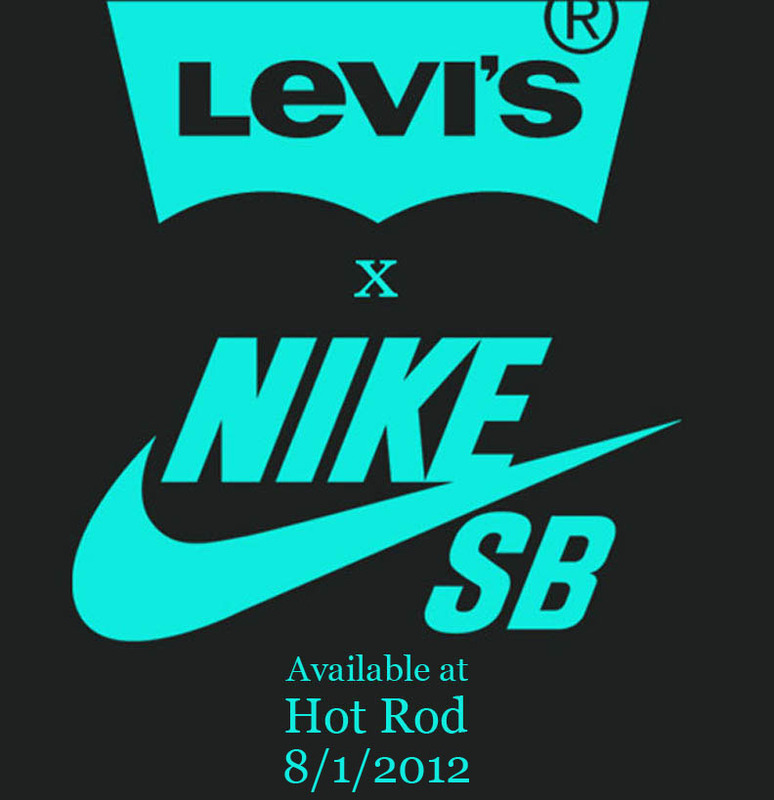 Select Nike SB and Levi's retailers, including Hot Rod in Los Angeles, will carry the limited release. Nike SB & Levi’s, heavy hitters in the contemporary fashion industry, will be releasing their capsule collection of apparel and shoes designed for the 2012 USA BMX Olympic team on August 1st at select Nike SB & Levi’s retailers. The collection consists of three different designs of the Levi’s 511 slim fit jeans, the classic Levi’s Type III Denim Trucker Jacket, the Nike SB Omar Salazar Pro Model sneaker, and the critically acclaimed Nike SB Premium Dunk Low. Omar Salazar, Nike Skateboarding team member and designer, had a big hand in designing the collection, which includes one of his pro model sneakers. Joshua Katz, of the Levi’s marketing department, states in an interview with Highsnobiety that the project was “started over two years ago…ultimately so that we could develop the best denim, and best jeans possible.” In these efforts, Levi’s has utilized Nike’s famous dri-fit material in the production of the Levi’s & Nike SB collaborative jeans. This is the first time the dri-fit technology has been used by Levi’s, but it may not be the last, seeing as to how it provides “Superior Fit” and “Unparalleled Performance” as stated in the closing scenes of the promotional commercial Nike SB & Levi’s shot together. In addition to producing Levis’ most innovative denim, the Nike SB & Levi’s collaboration is available in limited quantities, and only at select retailers of both Nike SB and Levi’s, such as Hot Rod in Los Angeles. Inspired by Los Angeles culture, Hot Rod represents LA’s complex style-the concrete and class, the creativity and chaos. Established in 1995, Hot Rod became the premiere skate shop in LA. But as skateboarding entered the mainstream, we went our own way. Our retail store has evolved into a lifestyle brand that attracts the influences behind LA’s scene. A mainstay in LA ready to wear, our H|R Life line is another means of capturing the casual, yet polished lifestyle of our city. Our private label is handcrafted locally, using the best materials available to produce goods that are expressive of the classic LA quality. We work to redefine, not recreate the LA lifestyle. Our goals are to simply be the best at what we do, stay original, and never follow. When you’re ready to move above, beyond, and apart from the crowd, we’re here.